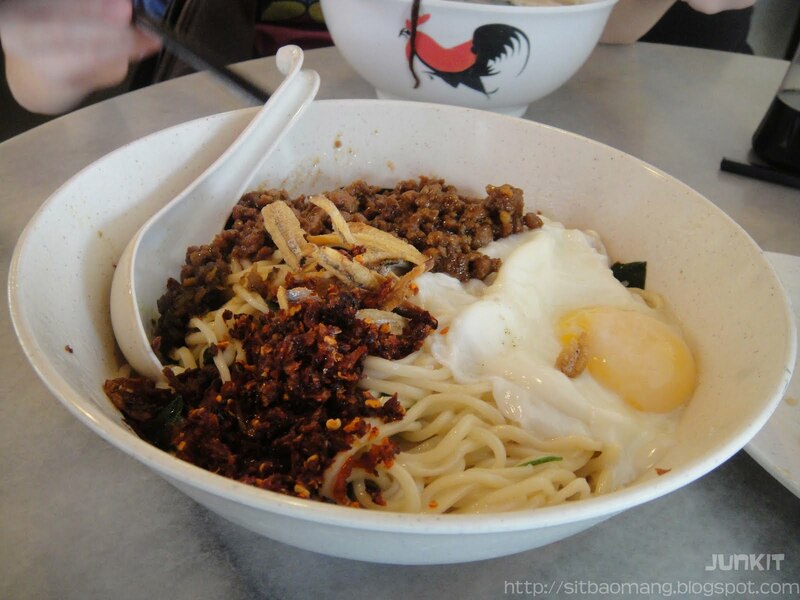 Pan mee has been one of the earliest chinese food to being introduced to Malaysia. Simple as it's only made from dough; yet can be made into various texture and taste. Similarly to the Italian pasta, depending on how is it shaped and pressed, different noodles can be made out. Likewise, the simplest food has been 'revolutionized; making new restaurants with various type and ingredients added mushroom-ed all over. Honestly, I was skeptical about the concept at first but after trying out 1 or 2 good newer version pan mee stores it was ok.
One of my favourite place to get a good fix of pan mee is at Jojo Little Kitchen, Kuchai Lama. 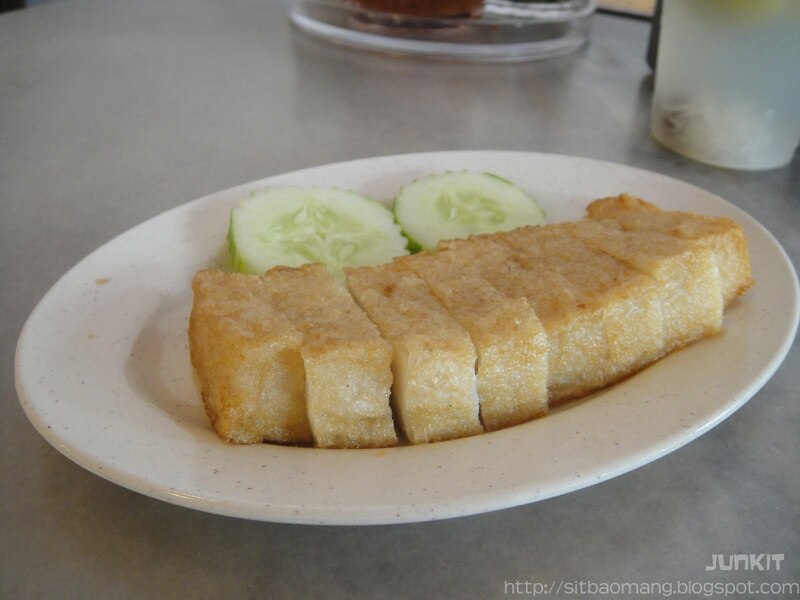 Located quite hidden from the main road, the restaurant is located just a stone away from the famous Winsoon Fish Head noodles. 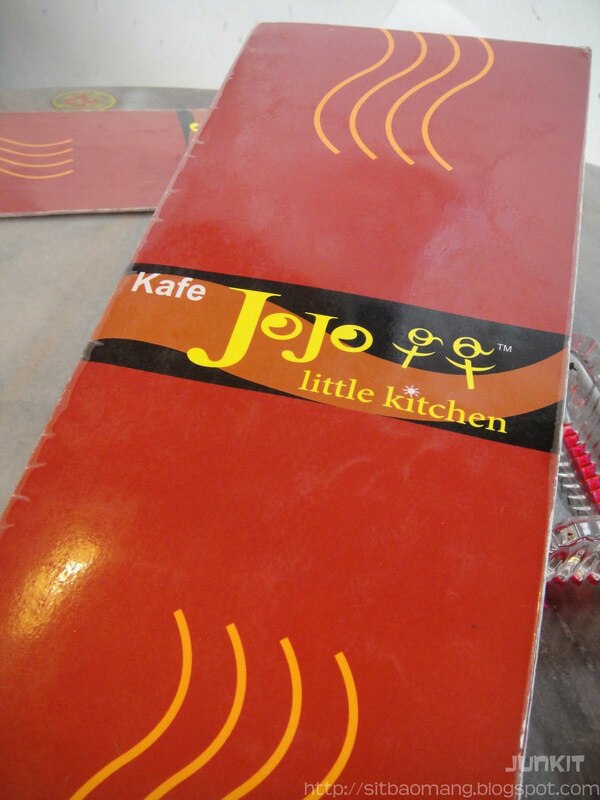 Jojo Little Kitchen has various version of pan mee, with different ingredients and different noodle types - they have the more distinctive type like Curry Pan Mee or Lor Pan mee. 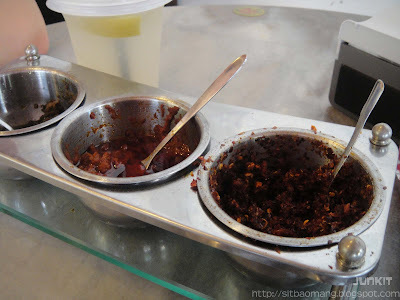 I don't know who started it but every newer version pan mee restaurant that I visit has at least these three types of chili. Leftest to right: Green paste chili, sambal like chili, chili flakes. I usually take the chili flakes only, therefore unsure bout the other two. Longan Apple. 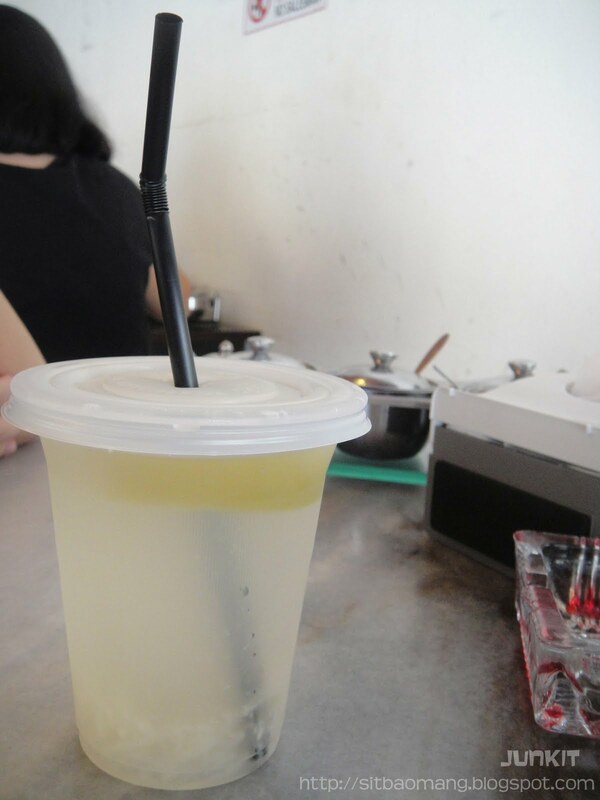 My must drink item when I go there. The boiled longan and apple is very refreshing and full with natural sweetness. Very cooling for a heaty day! 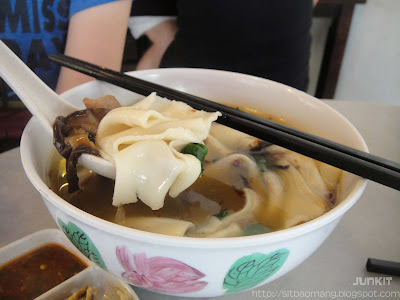 The girlfriend had the traditional soup version pan mee, opting for hand tore noodles. The noodles here are tore very thinly, thus gives a very silky and smooth texture to the noodles. The soup here is sweeter compared to most of the other pan mee stalls. They have the standard ingredients for a pan mee, mushrooms, veges and pork. Their anchovies are also served in different dipping plate that comes with the chili to keep it crunchy! My favourite. Lat Jiu Pan Mee which loosely translated to Chili Pan Mee. I especially like the thin noodles which gives it a very firm yet bouncy texture; like the Taiwaneses say very "QQ". Cooked just al dente and comes with minced pork, chili flakes and a half boiled egg. You need to mix everything and stir, note: DO NOT EAT IT SEPARATELY. The egg yolk will give the noodles it's omph, very important. Add more chili flakes if desire. I always add 1 1/2 scoops more additional chili flakes. Fried fish cake. This is the 1st time I ate this. Hmm pretty normal and expensive at RM5 for 8 pieces if u ask me. The quality does not even come close to the famous fried fishballs at OUG's pasar malam! 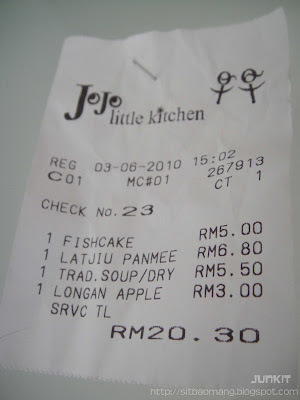 The bill came up to RM20.30 for two. 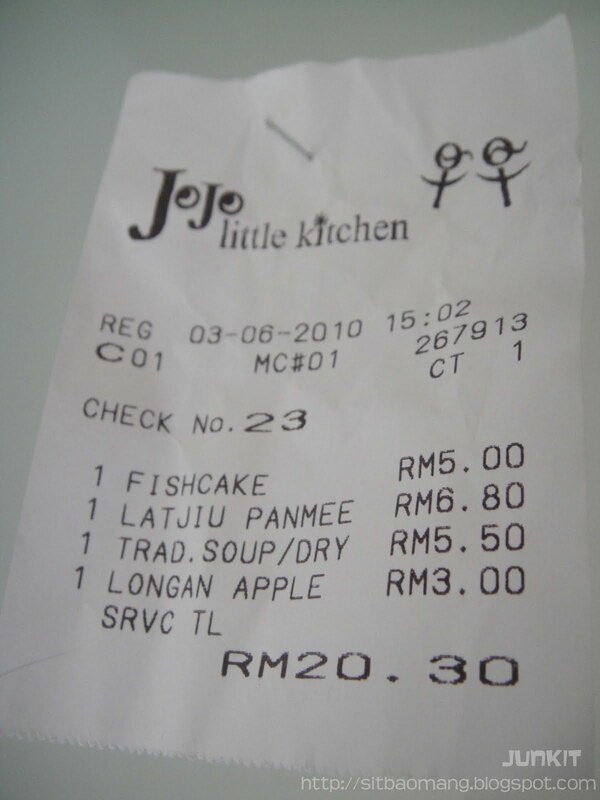 Minus the fish cake, the price of a complete meal is pretty decent for lunch. 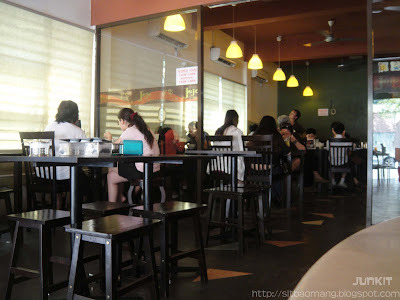 I also noticed a few more new branches located at SS15, Puchong and Serdang. Will check it out next time to see if it's up to par quality.